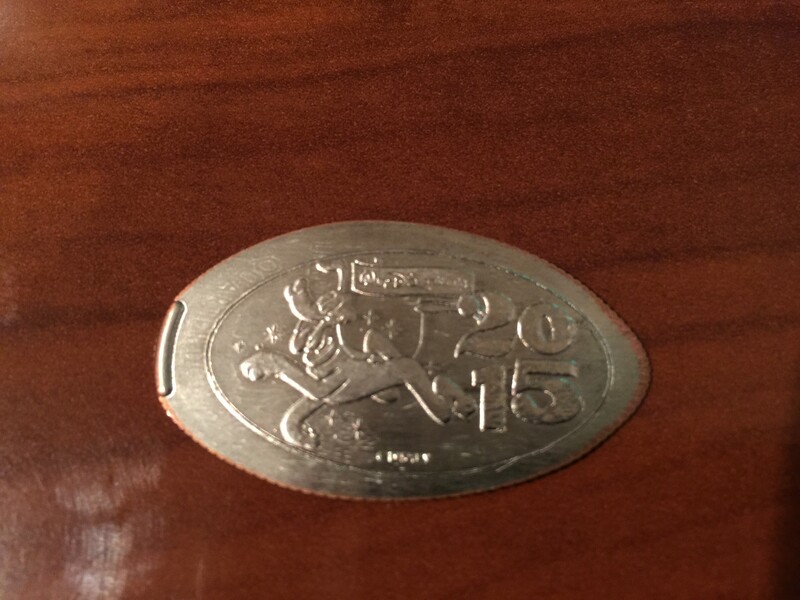 With each passing day I get closer and closer to getting all the new 2015 pressed coins from the Walt Disney World Resort. Over the weekend I had 5 additional coins arrive from some eBay auctions I was able to win over the last week. Currently I have 12 of the 15 new designs and checking all my resources to try to collect the last few. 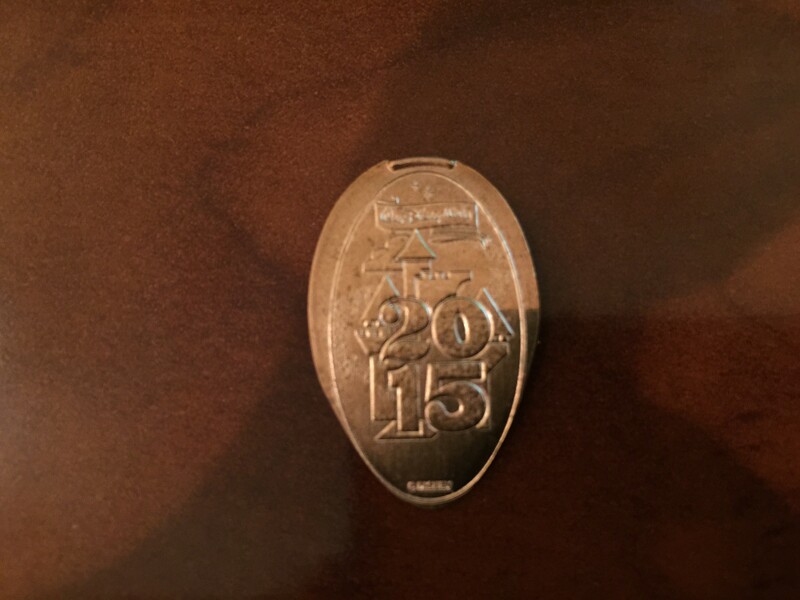 First is a pressed Quarter with a design of Pluto walking to the left and the 2015 year included. This machine is located in the Animal Kingdom park at the Harambe Train Station. 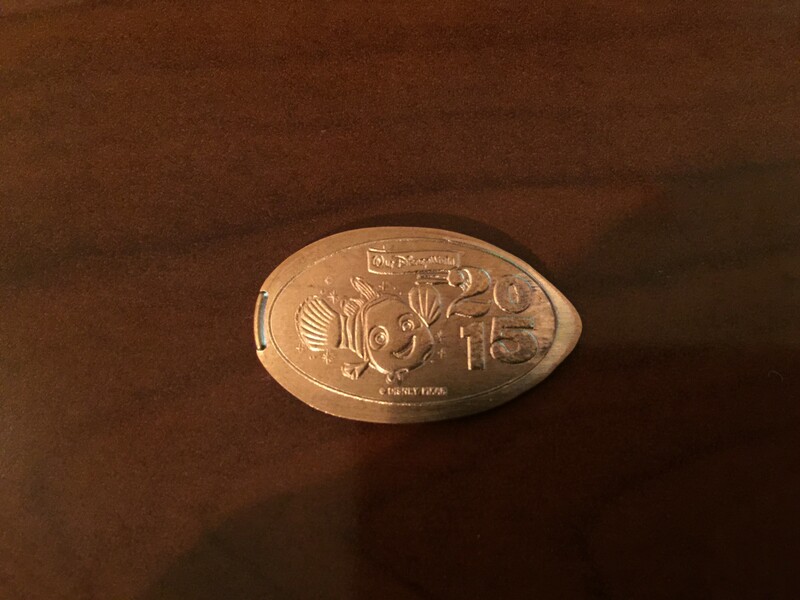 Next is a pressed penny with Nemo swimming to the right and 2015 displayed. This machine is also located in the Animal Kingdom park in Chester and Hester’s Dinosaur Treasures. The third design of Minnie with her hands clasped and standing in the middle of the 2015 year. This machine can be found in Hollywood Studios at the Prop Shop. 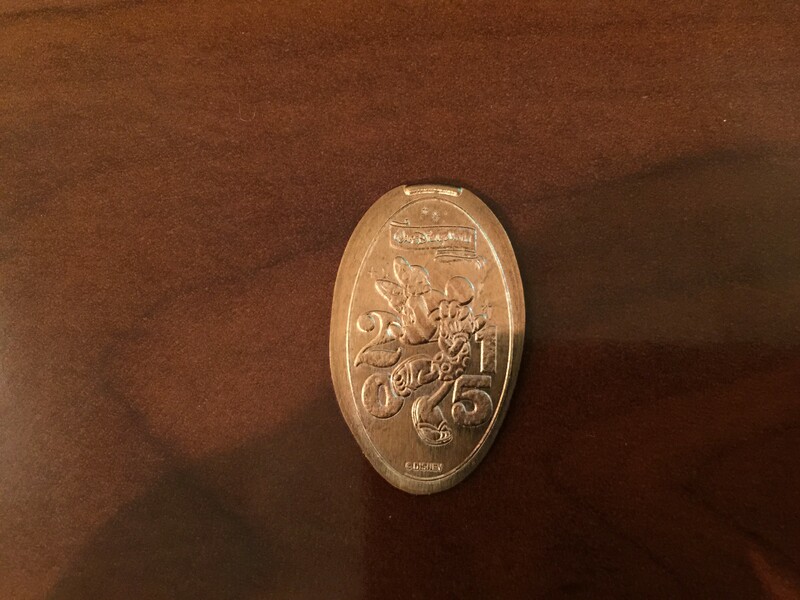 The next design is also a pressed penny with Cinderella’s Castle in the back group. The machine is in the Magic Kingdom in the Emporium gift shop just as you enter the park. 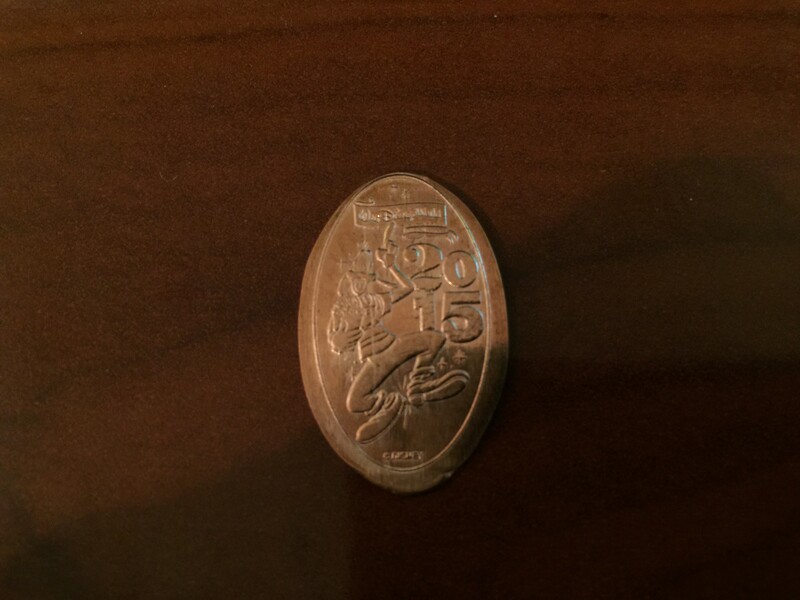 The last penny I received in this batch has Goofy clicking his heels with a box of popcorn in hand. This machine is located at the Grand Floridian Resort in the Second Floor Lobby. The collection is nearly complete again with only 3 coins still outstanding. These last few designs definitely seem to be hard to find especially up here in Jersey. I’ll keep looking around and hope to have them soon. Until then keep on smashing! !